If variety is the spice of life, then you can certainly experience more than your fair share of differing entertainment during a visit to a leading Midlands theatre during the rest of January. The Lichfield Garrick, which takes pride of place in the historical cathedral city of Lichfield, has plenty of theatrical entertainment on offer for visitors of all tastes. Forthcoming shows range from a Kate Bush tribute act and a gypsy jazz musician to a one-man Sherlock Holmes play and the music of Flanders and Swann. The New Year fun and games get underway with The Circus of Horrors, the non-stop extravaganza which has gone from the finals of Britain's Got Talent to West End stardom. Now celebrating its 21st anniversary, The Circus of Horrors set their latest incarnation 'Carnevil' in Victorian London in 1899 when Jack the Ripper was still at large. Tickets cost £25 (£18 for students). Next up, on Saturday 16 January, is Uptown Funk Live!, a tribute to singer Bruno Mars with a blend of funk and soul classics. Tickets for the show cost £17.50 (£14 for students). Although she recently performed her first live gigs in decades, Lichfield fans also have a chance to see the Kate Bush tribute band, Before The Dawn, on Saturday 23 January. The repertoire of classic Kate Bush hits and album tracks is brought to life by the talented vocal impersonation of singer Kerry B backed by a highly talented band. Tickets for Before The Dawn cost £12.50. For something completely different you can enjoy an evening of contemporary gypsy jazz courtesy of The Remi Harris Project on January 29. Remi Harris, who is regarded as one of the UK's top up and coming jazz guitarists, takes traditional gypsy jazz and swing and blends in the likes of bebop, blues and hiphop. Following his performance on Jamie Cullum's BBC Radio 2 show live from The Cheltenham Jazz Festival his album Ninick went to number 7 in the iTunes Top Jazz Albums Chart. Tickets for this unique experience cost £15. A switch from the music leads to the greatest fictional sleuth of all time in the guise of Sherlock Holmes who features in a one-man show at the Garrick's studio theatre on Saturday 30 January. The Singular Exploits of Sherlock Holmes is a high energy show that includes quick costume changes, wry humour and audience interaction. 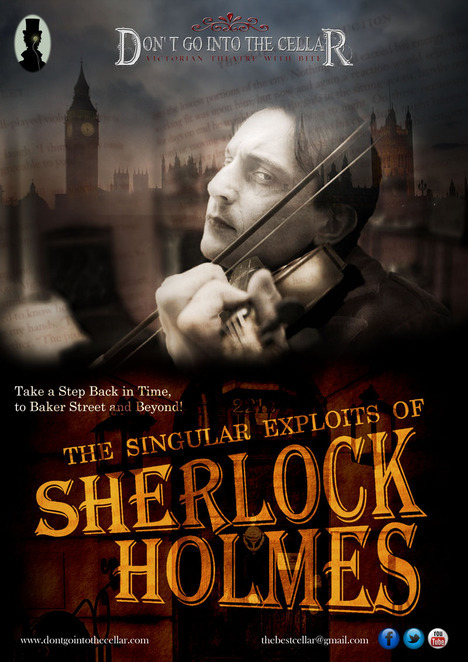 It features autobiographical snippets of Holmes' life and times, the adversaries he faced and mysteries he solved. Tickets cost £14 (£10 for students). And on the same night, in the main theatre, audiences have the chance to see the contrasting delights of Flanders and Swann, also on January 30. 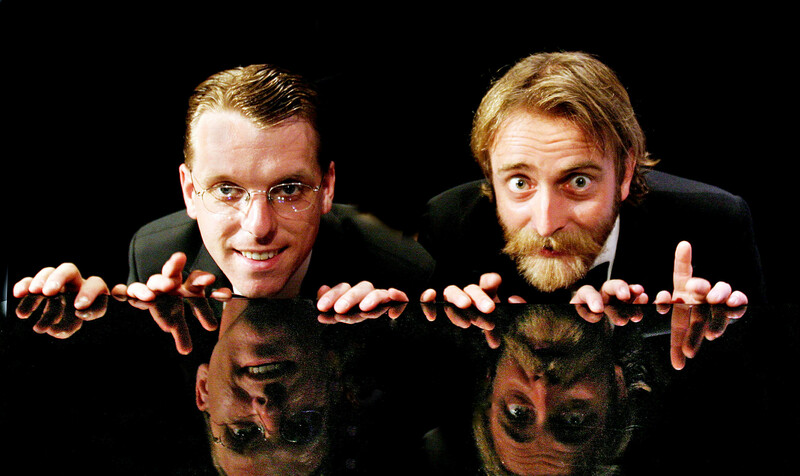 Join award-winning comedian Tim FitzHigham and BBC Radio 4 musical maestro Duncan Walsh Atkins as they bring the wit and wordplay of comedy songsmiths, Michael Flanders and Donald Swann, to life. Their repertoire will include all the classic Flanders and Swann creations including The Hippopotamus (Mud, Mud, Glorious Mud), The Gnu, The Gas Man Cometh and many more. Tickets cost £16. Tickets for all the shows can be booked online at www.lichfieldgarrick.com or by calling Lichfield Garrick's Box Office on 01543 412121.